Star City School District hosted this year's Region 3 East All-Region auditions. 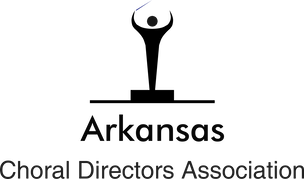 Region 3 is the largest of the regions for ArkCDA (Arkansas Choral Directors Association). All-Region is a competition where students learn 4 pieces of music and must sing a section from three of those pieces to 5 judges. They are then scored and selected to perform in choirs made up of students from all over our region including: El Dorado, Dumas, Magnolia, Benton, and Bryant. "We had 25 schools, over 25 directors, and over 500 students on our campus this Saturday. They were constantly complimenting on our campus and were really impressed with not only our buildings but some of our programs as well. You can also be proud of the students who volunteered to work. They never once asked if they could take a break, they were always asking if the directors needed anything or needed them to do anything. The kids not only worked hard for the All-Region tryouts but they stayed and helped clean as well." - SCHS Choir Director Alyssa Brewer. Congratulations to the following students for making All-Region this year! Cory Maddox - Sr. All-Region Mixed Chorus.